2015 was the biggest year yet for toys-to-life products in the UK, with £129m generated from such games and figurines. However, increased competition and flagging interest has forced some outlets to slash prices, so while these toys are still selling, the revenue generated by them has fallen by 12 percent when compared to the same point last year. 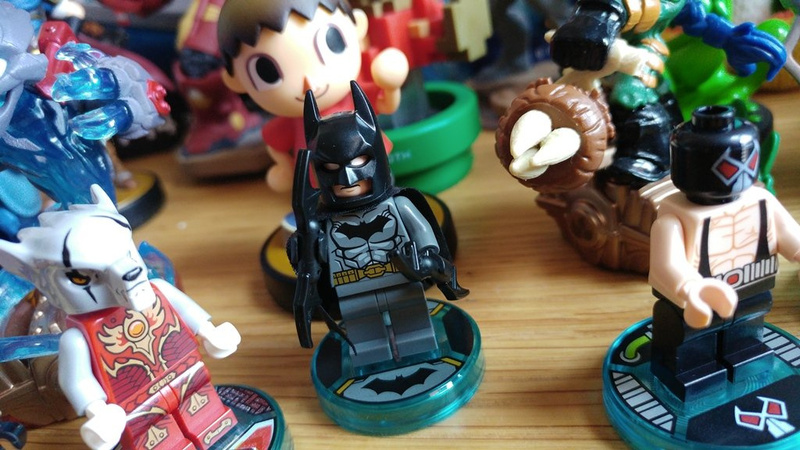 Cash created by the toys-to-life market in the UK - which covers Skylanders, Disney Infinity, amiibo and Lego Dimensions - dropped 12.1 percent for the first four months of year compared to 2015 - and back then, Lego Dimensions wasn't on the market. Activision has already stated that Skylanders Superchargers didn't meet expectations, and Disney Infinity has recently been shuttered. Does this mean the toys-to-life market is headed for rocky waters? Can Nintendo continue to rely on its amiibo range as a viable revenue stream? Let us know what you think by posting a comment. There's just too many of them and they're just too expensive. The Smash Series of Amiibo for example is over £600. The only ones I can see having any staying power in the real long term are Amiibo and that's only for collectors really. I'm done after the Smash series is complete. The only other series I might be interested in is if they did a full 8-Bit series, like the Mario Maker Amiibo but for everyone else too, Luigi, Bowser, Peach, a Goomba and a Koopa, and all the other enemies. Short of that happening, I don't see myself buying any more Amiibo after Bayonetta, Corrin and Cloud are released. I'm actually just about to buy my first ever amiibo (KK Slider). I do think they are over-priced, and I do think the market is over-saturated, and I hope that they begin to fade away at least a bit very soon. However, I also think that, of all the Toys2Life companies out there, at least for me, the best value for money is Lego, closely followed by amiibo. If I had the money, I'd have the entire Lego Dimensions collection, plus the amiibo that interest me. Skylanders never interested me and always seemed like a cash-grab from the off, even though they were first. And Disney was a total cash-in. Amiibo and Lego are cash-ins as well, of course, just done a bit more elegantly and with a bit more on offer. I don't want the whole market to disappear, because there are some interesting things being done with Toys2Life, but I do think the companies are going to have to up their game if they want to give those plastic figures any kind of real longevity. The Amiibos is coming more of a collection for me rather than using them as toys to life. Hardly surprising. It was largely a gimmick that didn't actually develop much conceptually. Give us Daisy and Waluigi amiibo and more of the SMB amiibo line! I often say the only one that truly counts as 'toys to life' is LEGO, as they can be used in play with existing sets and have more motion. Amiibo are just collectable figures and don't even have a defining 'toys to life' game. Nintendo needs to be careful. If this trend continues, then amiibo could be much less profitable unless Nintendo changes something. Hopefully it's the beginning of the end to this scam. They're awful. These are the worst offenders of all of them. Offer nothing new, no new poses. Just used the same moulds and lazily changed their colours. Thank God.... Hope this FAD completely dies out soon! Dressing (otherwise dirt cheap) exclusive DLC up as an expensive, rigid and very limited figurine seems pretty cynical! Yep, I've been saying that too. LD are the only ones that function as toys. These things have a short life, and then they are forgotten. Nintendo came into the toy (Amiibo) market late and were to greedy with the price and amount of toys needed per game. Because of the price these toys have a trade in value, so that will effect new sales. It was a fad doomed to fail after a few years, like all fads. Still it made money for Nintendo while it lasted and still will for another six months. Hopefully we will have an NX free of Amiibos. Lego Dimmensions is the only one I actually like. They have a huge line of characters that interact in the game and serve as toys. Amiibo just bore me because with how the figures don't really have a purpose with games. Trying to figure out potential reasons for the drop considering LD got added, which would make anyone think total sales should have gone up year over year. So I think 2 major causes/reasons for the decline are the 4 months period compared - all of these games release in Aug and Sept, probably a HUGE amount of sales for the holidays, nobody buys them in Jan-April. The one exception to that being the amiibo, which only started in late 2014 and the SSB was selling like hot cakes in early 2015 along w/ SMB in March 2015. So probably alot of the 12% decline is due to amiibo and the failed Skylanders racing games which nobody wanted, compared to the many "traps" which everybody seemed to collect. Moral of the story - doing a vdieogame or toy sales comparison for the months of Jan- April is basically a waste of time, that's not when those things are bought and sold. But there do seem to be some explanations beyond the simple - toys to life are doomed- reflex. How do you think I did @Damo ? Well, the market is flooded with them and well, as of lately, they seem more like a quick cash grab now (especially amiibo). I've only bought amiibo. I like the figures but because of that I only buy the characters I like; I don't even buy each one from a game series I like. What's Worriz even doing on the LEGO Dimensions thing? Amiibo should have never had LINES, like Smash or AC or MARIO, it breaks the whole system that we were promised (that all amiibo will offer something in games that use them). It should have just been the Amiibo line, and then we wouldn't keep getting duplicates, the Super Mario line and the new kirby line are the biggest offenders. I love all the cool and great quality figurines I now have of characters I never expected to be able to buy + its not like they lock important stuff behind an amiibo paywall, all the amiibo stuff is useless and minor. Yes!!! Please, world, don't buy this crap anymore. Let video game companies produce video games. Those Monster Hunter look super cool; I have to get them! Good, let toys-to-life go the way of plastic-guitar-games, it's a hugely lame way to sell DLC, and that's all it ever was, the sooner it goes away, the better. If they didn't release a new game with a whole new set of toys every year the market would be doing just fine. As usual, the short-term greed of publishers has ruined the long-term profitability of a market sector. Also worth considering is: "Aren't Nintendo running out of characters to plastify?" Unlike LEGO with its bizarrely wide-ranging licensing potential (Doctor Who, The Simpsons, Scooby-Doo, Lord of the Rings etc. ), and Disney with its huge cohort of IPs (most of which we'll now never see), Nintendo's famous faces can basically be summed up in one range: Smash Bros.
Outside of that (admittedly rather large) collection, we're left mainly with duplicates (I think we have 3 forms of Yoshi now, more if you include jumbo knitted and colour variants), or more obscure characters (such as Chibi-Robo), whose selling potential is limited to small groups of enthusiasts. 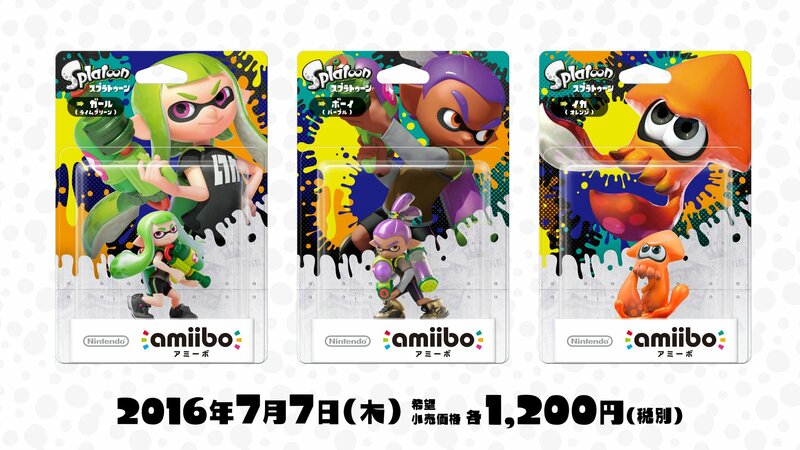 The only large franchise I can think of that isn't covered by Smash is Splatoon, which has been covered since launch - although with Callie and Marie on the way, Nintendo seem keen to keep its amiibo line alive. The point is, when the Smash range is fully released, Nintendo must be very aware that their options for selling truckloads of new characters will have become increasingly limited. I'd be interested to know what the plans are for the NX and amiibo, and how much life Nintendo thinks they have left. They've been a very successful venture for the company so far, but their fate must ultimately be defined by the size of Nintendo's character roster. And that is surely nearing saturation? The NX might be a good opportunity to make a clean break. If profits are universally falling, and Nintendo are limited in ways they can meaningfully push the concept forward, then it might be better to cut things off swiftly than stumble into the next generation with little momentum. On the other hand, pulling the power on something that has been so consistently profitable can't be an easy business decision to make. It might also leave some collectors feeling short-changed by their now non-functional mountains of plastic. There's nothing new to do. Amiibo has had nothing major new in some time, they had plenty of opportunities as well to implicate it into their best selling titles but either they ignored it or just did some lousy tap once thing. The free Amiibo Mario and Minis style game is a nice attempt though, but it came and went sooo fast. As for other toys, the games they're specific to are aging and some are too expensive. Lego Dimensions, parents at my store say it's too expensive, $30 for one tiny add on pack is nuts and even with sales they don't want them. The fad came and went with those, also I think a problem for some was that the Dimensions game was all over the place. People only wanted 1 Lego pack, they didn't want to have a mix of Scooby Doo, Simpsons and Back to the Future. It's like they tried to hit multiple markets but those markets of fans don't ever cross lines with one another. Honestly I just collect them now since they look so nice on my shelf and aren't worth bringing them all to my living room to play with them. I really want to see Waluigi and Bowser Jr. in the Mario line. Nintendo doesn't seem to have much of a plan on what to do with Amiibos outside of Smash brothers. Also, they seem to miss every oppourtunity to put out new Amiibos. Where are the Fire Emblem: Fates Amiibos? The game and characters are quite popular. Throw in an update patch where scanning a character's amiibo is the same as having their statue in "My Town", so you can have the building space for something else. Or add an Amiibo collection to the Records building. There are some Kirby Amiibos coming out — even though you can already get three out of the four characters. I suppose some Kirby purists might prefer the gentler art style to the Smash style...but it feels redundant. Want to support a more niche third party series? Maybe people would be more enticed to get Mirage Studios or Dragon Quest 7 if an Amiibo of a character intrigued them. EDIT: Right after posting this I remembered the Squid Sisters, who are pretty cool. For those that just want the game content from amiibo, either introduce a separate DLC system/shop to purchase the unlockables without amiibo, or an even easier way of doing this: make affordable card amiibo for strictly digital content access/unlocking. Both sides are happy.